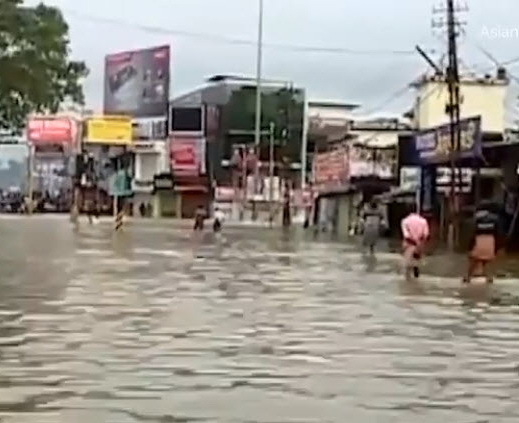 (CHENGANNUR, India) — Some 800,000 people have been displaced and over 350 have died in the worst flooding in a century in southern India’s Kerala state, officials said Sunday, as rescuers searched for people stranded in the worst-affected areas. Please help us provide support and assistance to our friends and Malabar Mission Circle partners in Kerala. Donations toward Malabar Mission Society projects can be made through the MMS (see 'Contact Us' for our Regina, SK mailing address). Donations toward general flood relief can also be made through Canadian Lutheran World Relief (CLWR). THANK YOU!